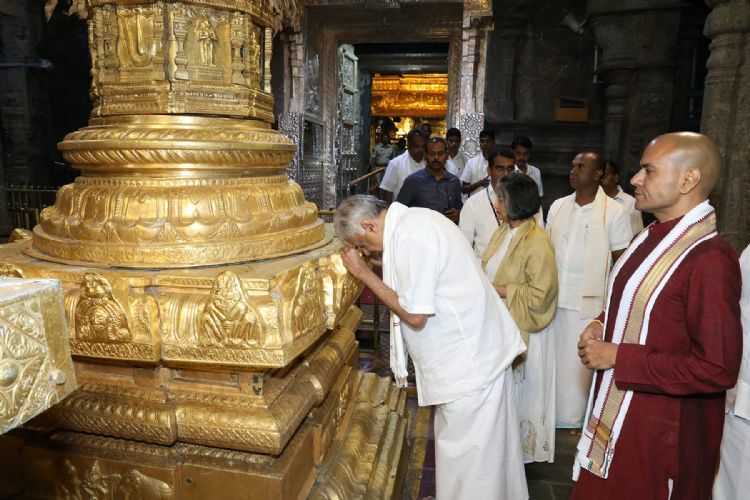 Tirumala, 3 March 2019: The Prime Minister of Sri Lanka Sri Ranil Wikramasinghe offered prayers in the temple of Lord Venkateswara at Tirumala during Suprabhata Seva. The foreign dignitary along with his spouse Smt Maitree Wikramasinghe offered prayers in this pre-dawn ritual at 3am. TTD Executive Officer Sri Anil Kumar Singhal and Tirumala JEO Sri KS Sreenivasa Raju welcomed the dignity at Mahadwaram and accompanied them during darshan. 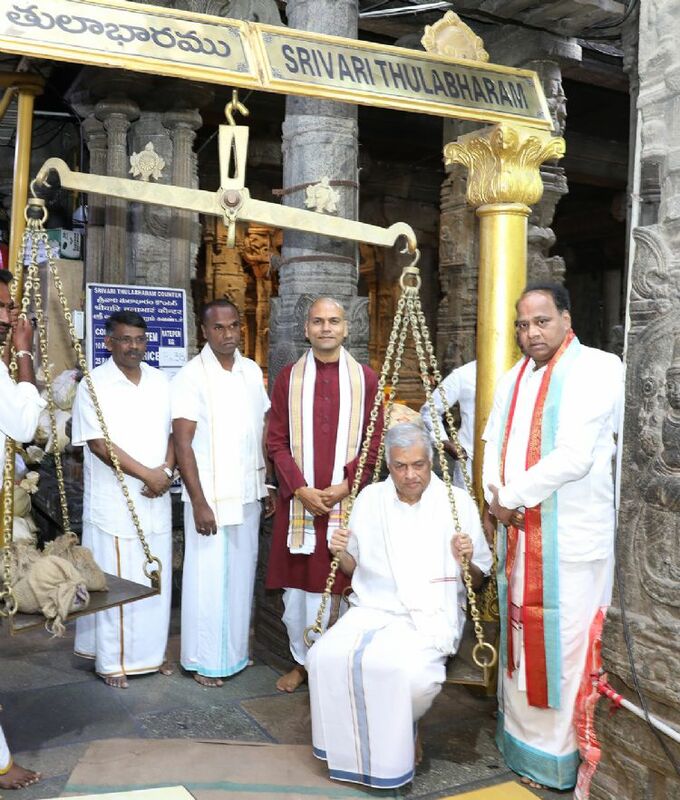 Before having darshan of Lord Venkateswara, the Prime Minister of Sri Lanka offered Tulabharam equal to his weight. Tulabharam is an age-old tradition in Tirumala where a devotee wishes to offer sugar, rice, jaggery or amount equivalent to the weight of his or her body. The Sri Lankan PM offered Rs.16,160, the amount equalling to his body weight with each kilo costing Rs.202 in Rupee one of Indian currency. Later the Lankan PM was offered Vedasirvachanam at Ranganayakula Mandapam by the Vedic pundits. He was later presented with Silk Vastram, Theertha Prasadams and a laminated photo of Lord Venkateswara by TTD EO and Tirumala JEO. CVSO Sri Gopinath Jatti, Temple DyEO Sri Haridranath, Reception DyEO Sri Balaji and Other temple officials of TTD were also present.